A telephoto of Fagerfjellet with Henrikskardet to the right. 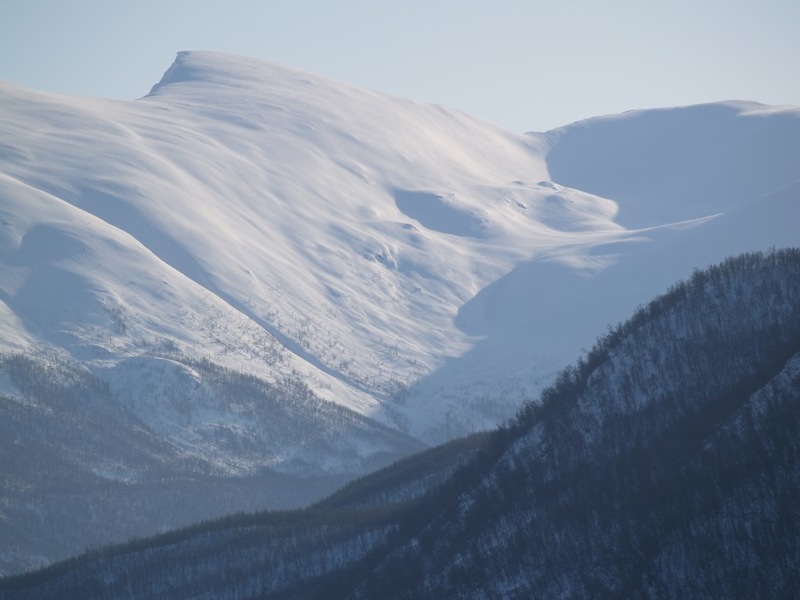 The normal ski ascent route starts from Nordbotn in Ramfjorden and follows the North ridge to the summit. The summit can also be reached from Henrikskardet.